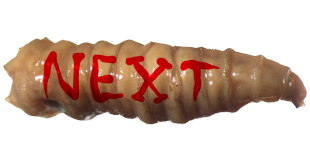 I know this will horrify every last one of you to hear, but I actually came pretty close to skipping this dollar store tradition for the first time ever. 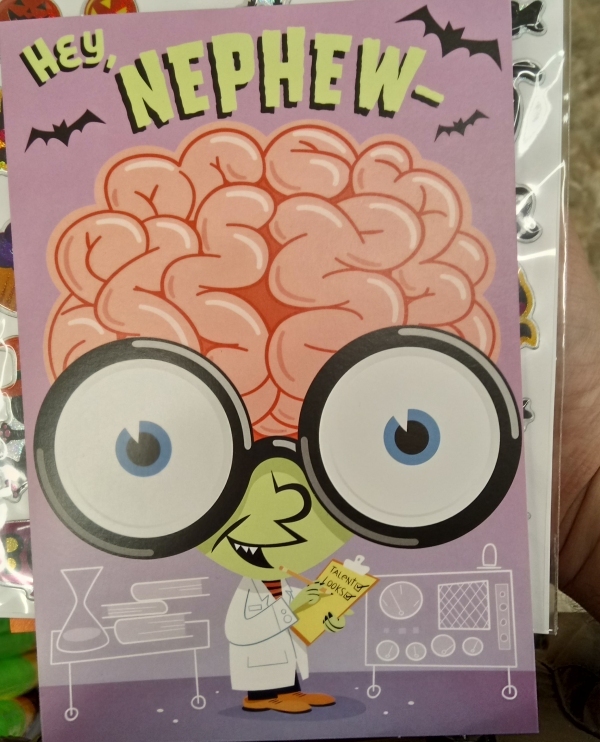 Most of the Dollar Tree's stock this year consists of repeats from 2017, and I almost thought I wouldn't find anything interesting enough to review. Well, we're going to do our best anyway. I love this, because the wooden planks are almost photorealistic, but what we see on the other side is absolutely not. Someone had to barricade their house against an onslaught of giant, orange cartoon eyes and there's just something really funny about that. It's like they barricaded their house against Halloween itself. 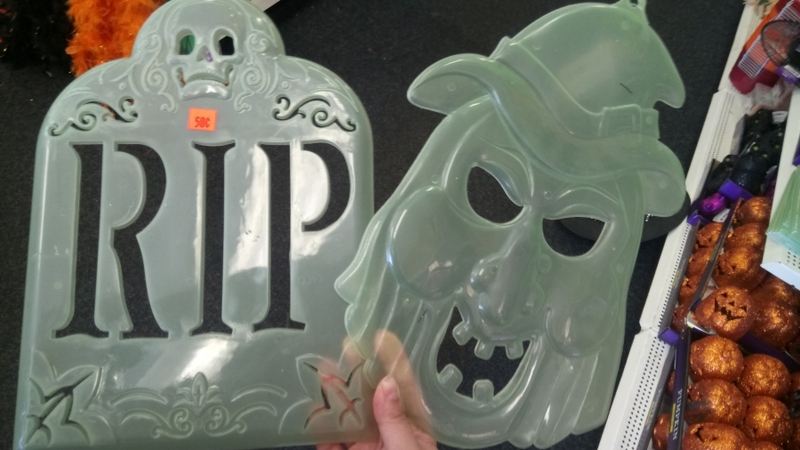 I believe these glowing tombstones and witch heads have actually existed for several decades, but they're still being mass produced to this day...and they're one of the first items I've ever noticed at Dollar Tree to not cost a dollar. Instead, these have fifty cent stickers on them. FIFTY CENTS! There are vastly crummier things out there that cost more than twice that! 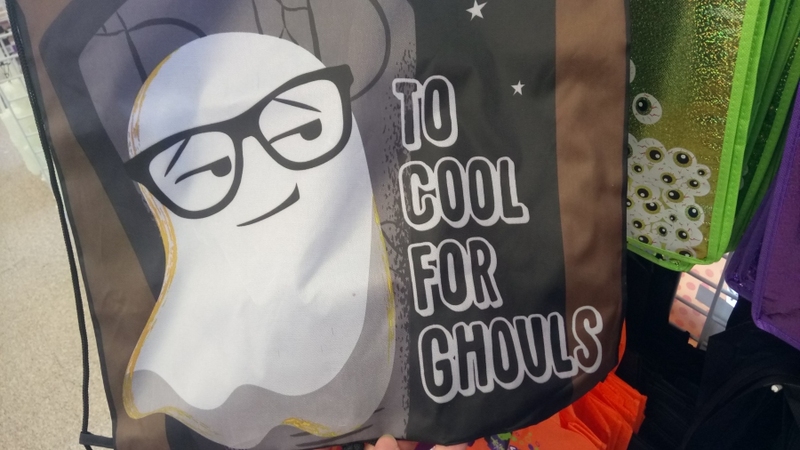 This is just a simple, wooden sign in the shape of a coffin occupied by a human skeleton, but it's also split apart into multiple disconnected panels for a pretty interesting visual effect. 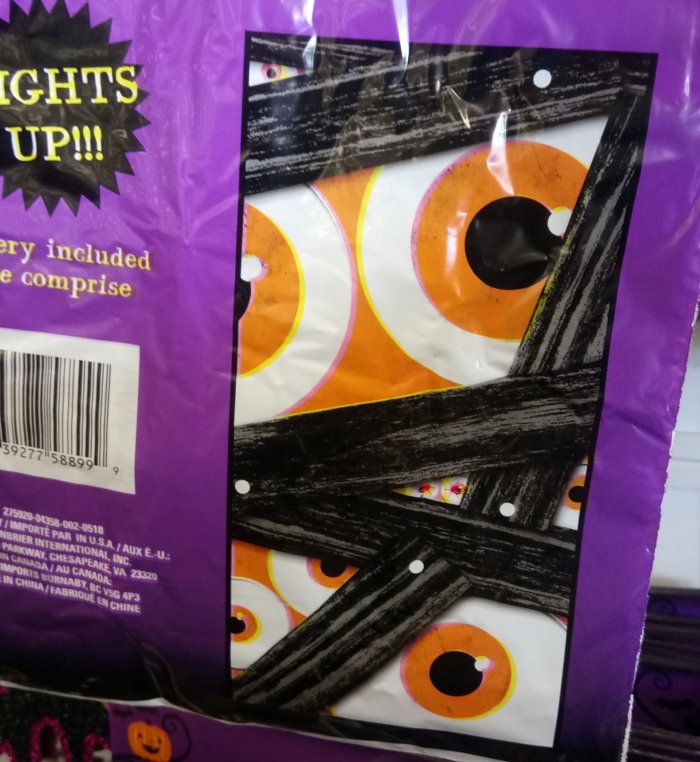 See, these cost twice as much as that practically life-size glowing witch face up there, but all you get are a few slightly squashed looking rats. I was kind of more delighted by these for their cheap modeling, though. Sometimes you just need some crappy plastic scraps in the shape of deformed rodents, and you need them to light up at night. 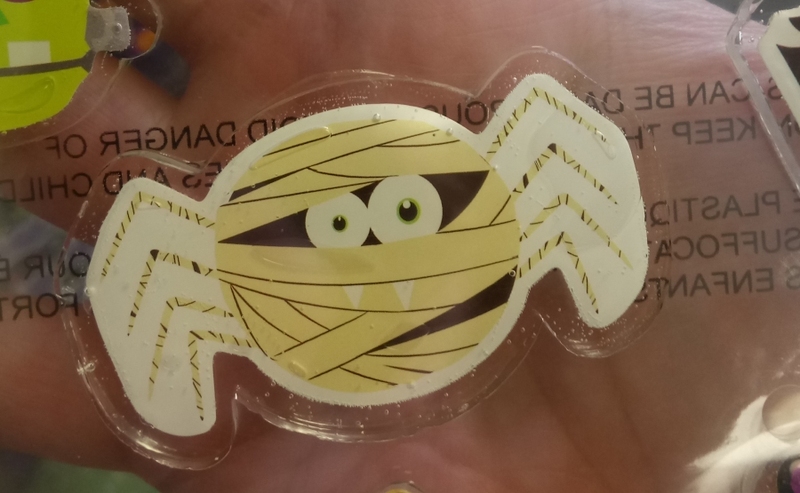 This is pretty small, and comes on a sheet of several other, much less interesting window clings, but I think a gelatinous cut-out of a mummified spider is well worth your dollar. 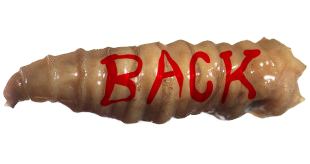 Not MY dollar, mind you, I've got plenty of mummies, spiders, and even a few mummy spiders of my own, but YOU definitely need this in your life. Does this qualify as a Hocus? As a witch hat with legs? She also has hands, and I'm not sure how that fits in to Hocus physiology. 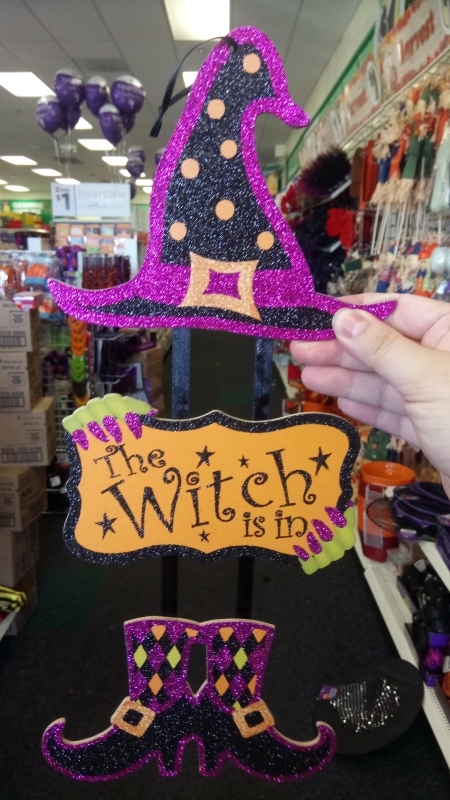 The funny thing about "The Witch is In" is that it's a parody of "The Doctor Is In," but that's kind of a long obsolete phrase we don't encounter anymore in everyday life. I have seen hundreds of different "Witch is In" signs, but I have never seen an actual "Doctor Is In" sign outside of a Bugs Bunny cartoon. 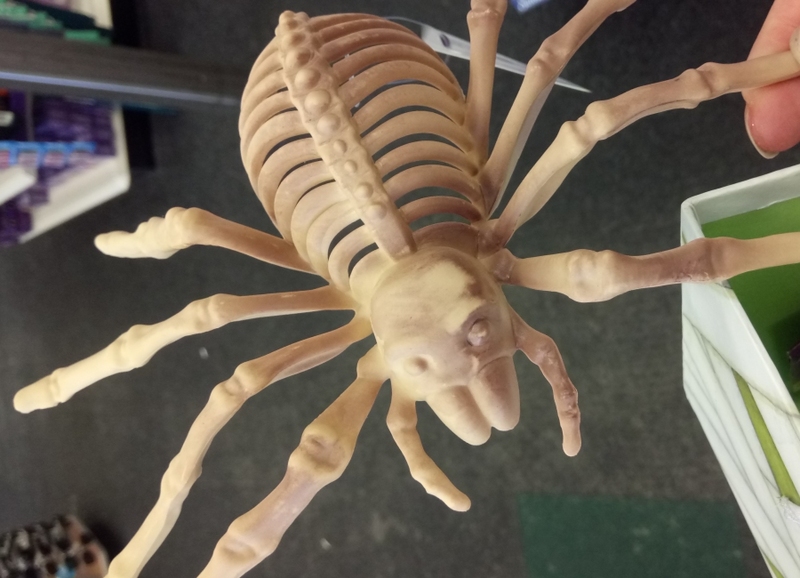 This is, I believe, the first year Dollar Tree has offered skeletal spiders, or skliders, which is a relief for anybody who never had a Family Dollar or Dollar General nearby, both of which have been doing this since at least 2016. 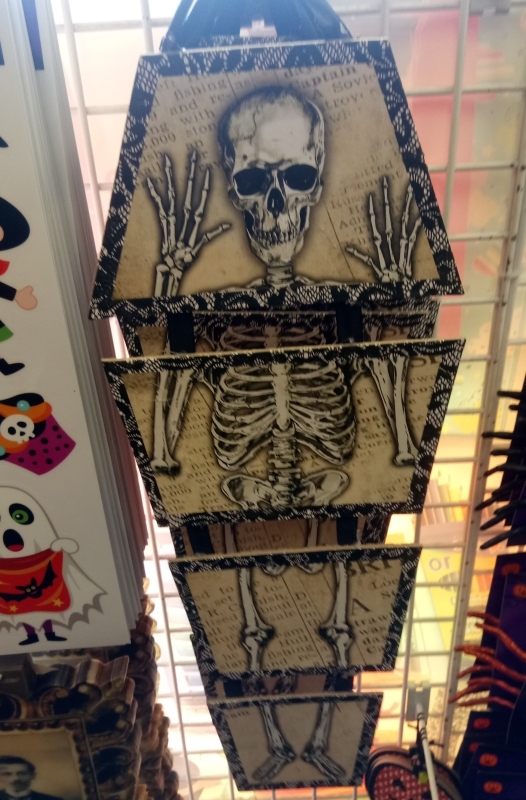 Dollar Tree's Sklider is a bootleg of the Crazy Bonez design, however, that typically retails for $6.99, so you can get about SEVEN of these for the usual price of just one and a negligible sacrifice in quality. 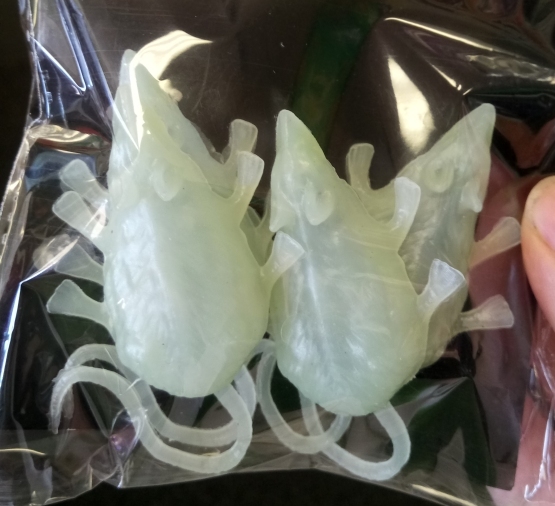 Some might even outright prefer these cheaper, simpler, and dirtier-looking specimens! 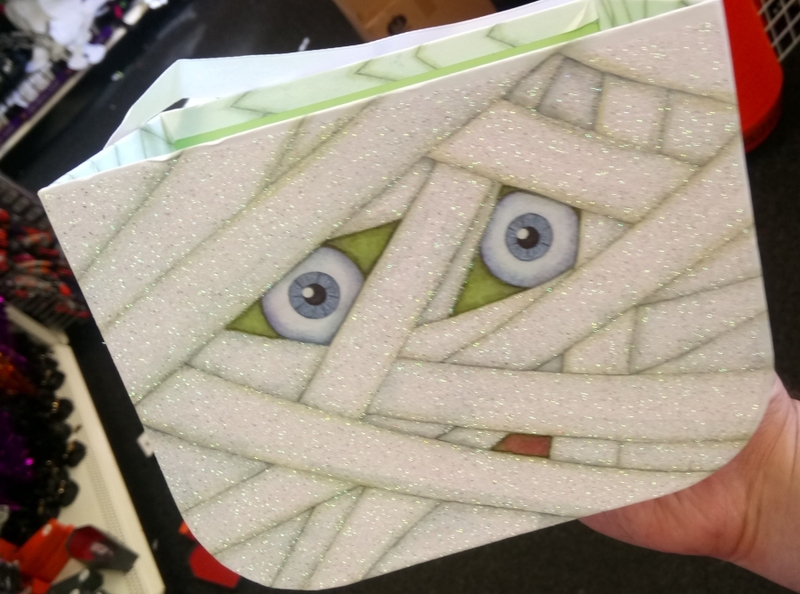 Here's a mummy I did spend my own entire dollar on, because it's a decently sized little box with a nice green ribbon for a handle a finely printed mummy face that's sparkly to boot. Speaking of boxes, the Dollar Tree sells a new set of these lovely cardboard coffins every single year, and the orange coffin usually contains another. superbly designed mummy. 2018 is the first time this tradition has changed in any way. The other two coffins house a relatively forgettable skeleton and vampire, while the mummy has been swapped out for this beautifully painted ghost! I do wish we could have just had both, but I guess three years straight of cool new mummy boxes wasn't too shabby anyway. Nothing else on this sticker sheet matters. 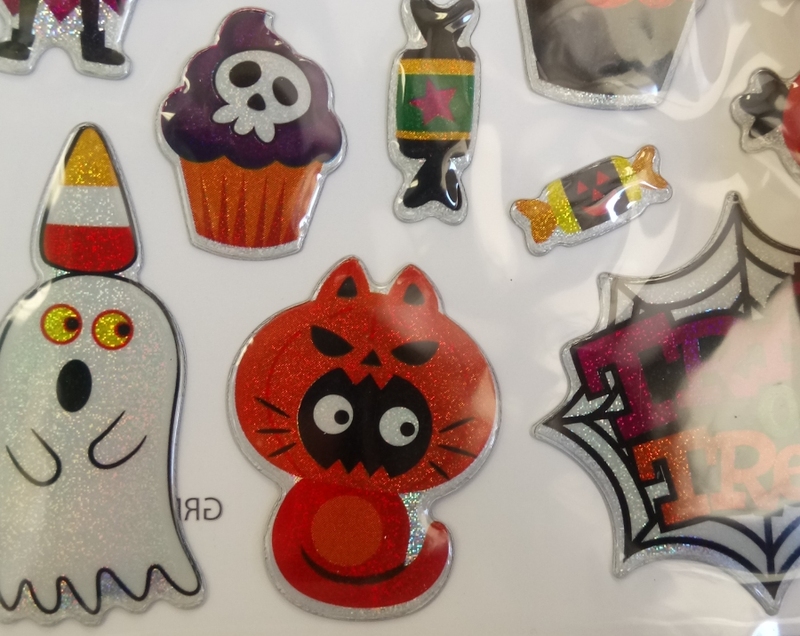 Look at the pumpkin cat with eyes in its mouth. 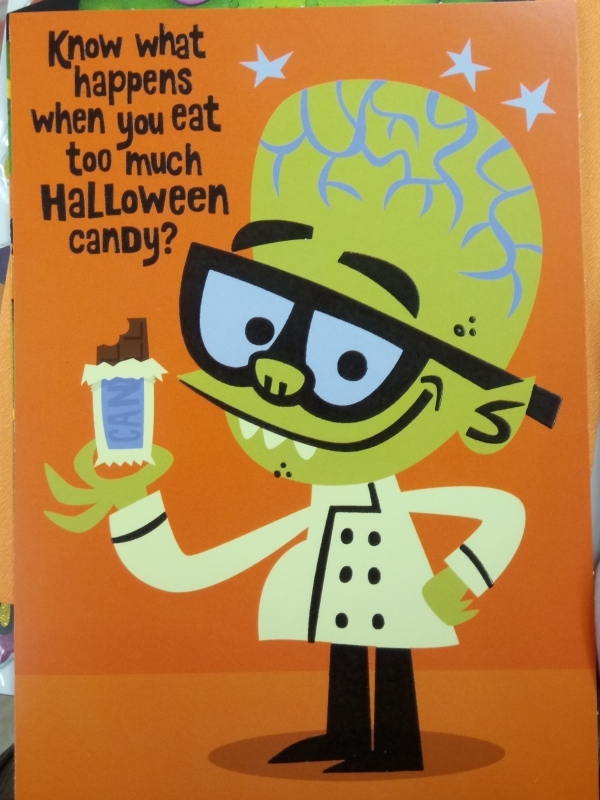 I neglected to bother opening and looking at the "punchline" in this card, but I did the gigantic, exposed pink brain of this green-skinned nerd! ...And then we've got this other green-skinned mutant scientist, who may not have nearly as dramatic a cranium, but these two dorks sure lend credence to my personal belief that mad scientists should absolutely count as a "monster" species!